September 24, 2018 /Photography News/ In early years of American movies, Jacksonville, Florida, experienced a brief turn in the spotlight as one of the hubs for filmmaking on the east coast. The Vim Comedy Company, based in Jacksonville and New York, was one of several film studios operating in the Jacksonville area in the first three decades of the 20th century. Most of the images presented here were collected by one of the Vim actors, William "Billy" Bletcher (September 24, 1894 – January 5, 1979), while working at the studio between 1915 and 1917. Before going out of business in 1917, it employed such stars as Oliver “Babe” Hardy, Ethel Burton, Walter Stull, and Kate Price, as well as Swedish-born director Arvid Gillstrom. The Florida Photographic Collection contains more than 158,000 images, representing the most complete portrait of Florida available. Motion picture scene, 1916. This image was collected by filmmaker William "Billy" Bletcher (1894-1979) while working for the Vim Comedy Company between 1915 and 1917. The small film studio was based in Jacksonville and New York. 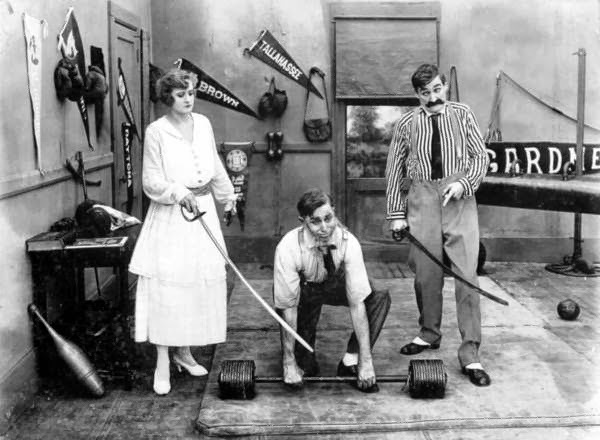 The company produced hundreds of two-reel comedies (over 156 comedies in 1916 alone). Before going out of business in 1917, it employed such stars as Oliver Hardy, Ethel Burton, Walter Stull, Arvid Gillstrom, and Kate Price. Ethel Burton (Palmer) was a popular comedic actress who made her debut with Vitagraph Pictures in 1915. She co-starred in several Billy West comedies (a popular Charlie Chaplin imitator), and was married to director Arvid Gillstrom, a Swedish-born filmmaker who directed many of the West comedies. Burton did little acting after the 1910s. Most of the films she made in Florida were with the Vim Comedy Company. Tallahassee pennant in the background. L-R: Ethel Burton Palmer, Bobby Burns, and Walter Stull. Motion picture scene, 1916. Harry Naughton, Ethel Burton, and unidentified actors. Unable to tell which individual is which. Motion picture scene, 1916. L-R: Bobbie Burns, Ethel Burton, (? ), and Walter Stull. 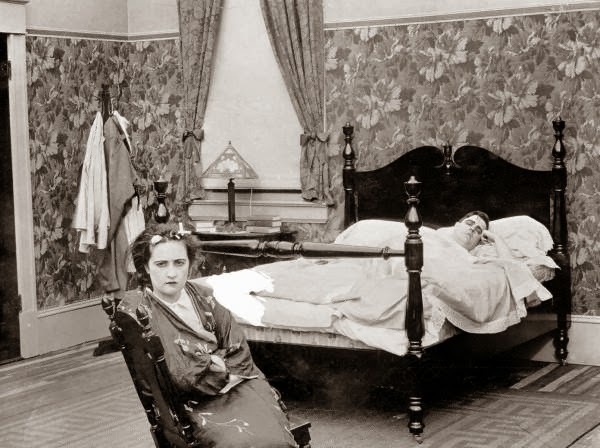 Motion picture scene, 1916. L-R: Rosemary Thebe and Harry Myers. Motion picture scene, 1916. 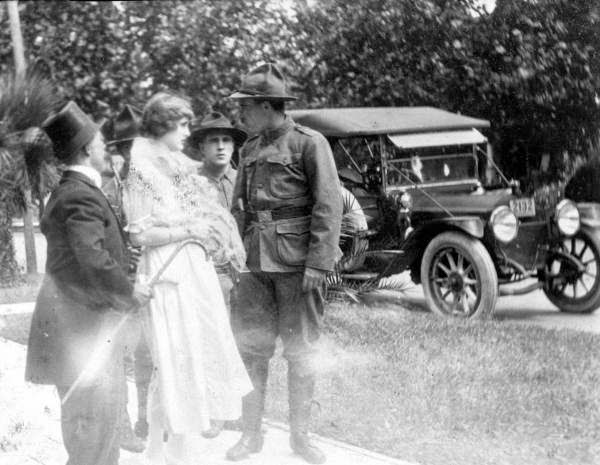 Ethel Burton Palmer is to the left and an unknown actor to the right. Ethel Burton (Palmer) was a popular comedic actress who made her debut with Vitagraph Pictures in 1915. She co-starred in several Billy West comedies (a popular Charlie Chaplin imitator), and was married to director Arvid Gillstrom, a Swedish-born filmmaker who directed many of the West comedies. Burton did little acting after the 1910s. Most of the films she made in Florida were with the Vim Comedy Company. Motion picture scene, 1916. L-R: Walter Stull(? ), Harry Meyers, and Rosemary Thebe. 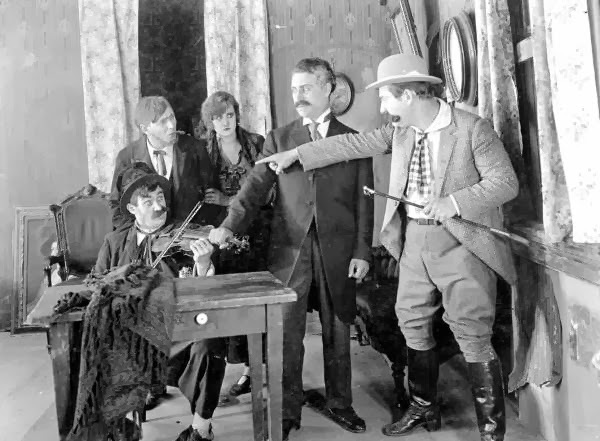 Motion picture scene from Strangled Harmony, 1916. L-R: Bobby Burns, (? ), Ethel Burton Palmer, (? ), Walter Stull.